I had my hometown parish priest tell me some years ago that one of his favorite things about being a priest was that he gets to be with people on the happiest days of their lives and on the saddest days of their lives; on their best days, and worst days. I questioned him on his word choice, that he “gets“ to be with people on the worst days of their life, as if it is some kind of privilege. The more I thought about it, however, the more I came to realize that it is actually a privilege to share in these moments with people. To share in someone else’s suffering is one of the most intimate things a person can do. Because it is in the midst of suffering that some of the deepest uniqueness of a person can be revealed. So yes, sharing in the suffering of another is a privilege; not one that should be enjoyed or anticipated, but one that should be respected and embraced as an intimate reality of the priesthood. This third part, like the last one, seems a bit difficult to wrap your head around. Because, once again, taken at face value it doesn’t make a whole lot of since as something to rejoice in as Lacordaire does in this quote. Why is sharing in suffering such an important part of what it means to be a priest? Saint Paul tells us in his letter to the Colossians when he says, “Now I rejoice in my sufferings for your sake, and in my flesh I am filling up what is lacking in the afflictions of Christ.” (Col. 1:24 emphasis added) Okay so now what does that mean? This verse from Paul might be one of the most contemplated and possibly misunderstood verses in any of his letters. 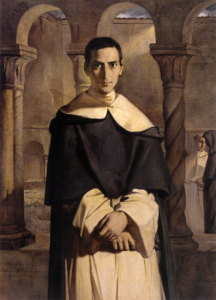 It seems to suggest that the redemption achieved by Christ was not complete. This is obviously false. What Saint Paul is telling us is this (stay with me here): the complete redemption accomplished by Christ is also constantly being accomplished through our suffering, by love. Just as the Church completes the redemptive work of Christ, every human suffering, united to Christ by love, completes the suffering of Christ. That is why sharing in suffering is such an important part of what it means to be a priest. Because by sharing in another’s suffering we become more closely united to Christ; we become participants in the redemptive suffering of Christ. That is certainly something that we should all long to share in. 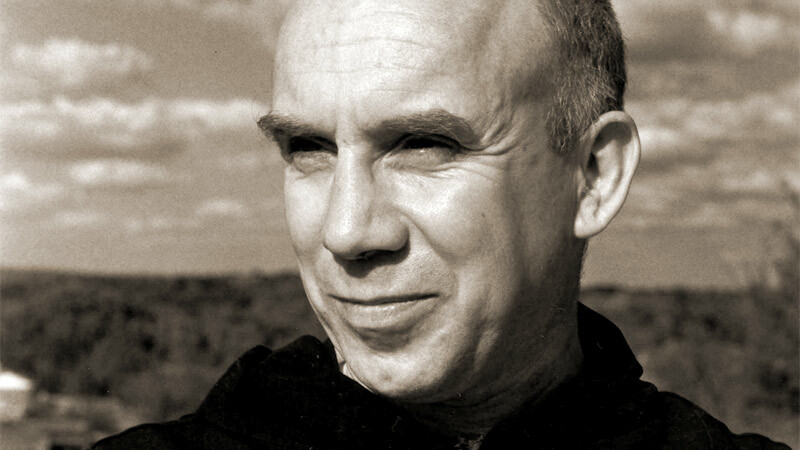 I will conclude with a quote from Thomas Merton (pictured above) who said that “It is impossible for our suffering to be consecrated to God apart from our immersion in the life of the church.” Suffering, in the end, is an inevitable part of our human condition. But we must take up our cross if our suffering is to be redemptive for us. When we share in the suffering of those within the life of the Church we become like Simon, who helped Christ carry His cross; we play our part in the redemptive suffering of Christ.